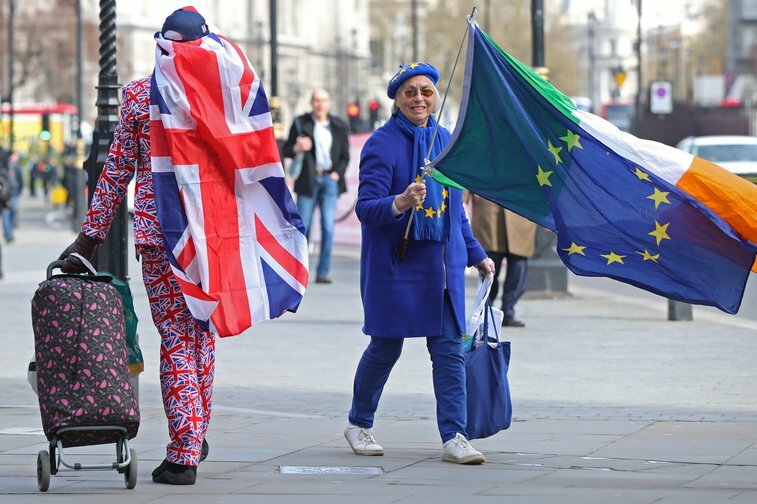 Both pro and anti-Brexit protesters in Westminster, London, after the European Council in Brussels agreed to a second extension to the Brexit process. Yui Mok/PA. All rights reserved. DiEM25 was founded just a few months ahead of the Brexit referendum, a week before the signature of the shameful deal through which David Cameron tried to reform the EU in regressive terms. Since then DiEM25 has pioneered innovative and imaginative thinking on Brexit. At the referendum in 2016 DiEM25 fought against Brexit to stay in the EU against this EU and the official remain campaign. In and against. Yanis and many of us campaigned up and down the country with John McDonnell and many others. Once Brexit had won, we made the right call given our defeat: a “Norway+” style agreement was the only chance to respect the referendum results from a progressive perspective (e.g. 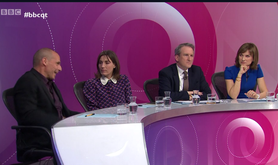 opening up rather than closing down a debate between leavers and remainers, defending freedom of movement and so forth) while at the same time allowing a much wider democratic debate to begin without the gun to the head which is the awful article 50 deadline. We thought it was necessary to commence a democratic exercise to discover how, when people come together, they could arrive at a more shared sense of what future we want for our country and for its future relations with the EU. We established that a UK-wide debate was for us a precondition for any type of second referendum. Indeed, we held an internal debate and by the autumn of 2016 we endorsed Norway+ option via an all-members vote. Since then we have been watching the comedy of errors unfold that has resulted from the Tories' negotiations, their lack of grip both on the functioning of the EU and of their own position in the world. We did however, understand Theresa May’s strategy to shut down debate and use the awful article 50 deadline against her own MPs. Blackmailing Parliament to vote for a deal that no one likes on the threat of a no deal which would destroy our social model, Theresa May ended up throwing the country into an unprecedented democratic and constitutional crisis. Precisely in the attempt to disrupt her strategy last November DiEM25ers voted in favour of campaigning to extend the deadline of Article 50 to give the two entrenched fronts of the Brexit divide more time to hold the People's Debate that the government has denied the UK so far. At the same time we called for the General Election that this country desperately needs. We launched the Take a Break from Brexit campaign which put forward a unique voice in the Brexit debate. 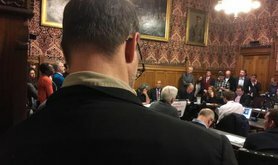 We are campaigning for a democratisation of the Brexit process because, in the face of a democratic and constitutional crisis, what is at stake is a set of very basic questions about how we are ruled and “we the citizens” have a right to a proper conversation that considers what happens next – we call this the people’s ‘considered will’. In two years of negotiations the government has failed to create a consensus and the cleavage between Leavers and Remainers has intensified. We called for an extension precisely because any decision taken now will alienate millions of people on one side or on the other. Our campaign for a People’s Debate, calls for a series of regional Citizens’ Assemblies, properly informed and accessible, inclusive and empowering, to discuss both what to make of the Brexit mess and how to improve our democratic institutions so that this doesn’t happen again. The campaign was launched in December with a symbolic joint launch in London and in Stoke-on-Trent, capitals of the Remain and Leave vote. In two nights of reconciliation activists academics and poets debated what a healthy democratic process should include to heal the divisions revealed by the referendum. 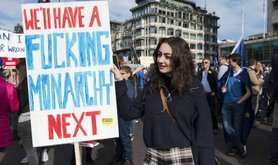 Take a Break from Brexit was further backed by a group of British and European citizens living in all constituent nations of the UK and across most EU countries and by a number of civic movements and political organisations. 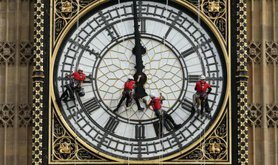 We ran a parliamentary petition urging the UK Parliament to instruct the government to request an extension of the deadline of March 29, 2019 by at least one year. Even though our petition was not backed by the huge numbers in favour of crashing back into the EU by revoking article 50, or crashing out with no deal, our argument remains sound. We were right to say that in the absence of an alternative deal, an extension of article 50 was the only way out of the trap between a deal no one likes and a catastrophic no-deal that we all fear. In this Parliament, it was also the only option on the table able to gather a Parliamentary majority. It was also the only democratic solution affording some prospect of time and space for proper debate. The EU council of April 10 has decided for an extension until the 31st of October. While this is reason enough to raise a glass, it should also leave us with mixed feelings. Yes, this extension averts the imminent threat of a no deal and grants enough time for a general election in the UK to take place. But this is not enough time for a proper UK-wide People’s Debate able to bring about reconciliation in a deeply divided country. We still need a far better democratic process to understand what to make of Brexit. This is why battle to democratise Brexit has only just begun. The time has come to look ahead of us. There are new questions to ask, starting with the upcoming EU elections on the 23rd of May 2019. We will be consulting with our DIEM25UK membership, followed by an all-members’ vote on the way forward now.